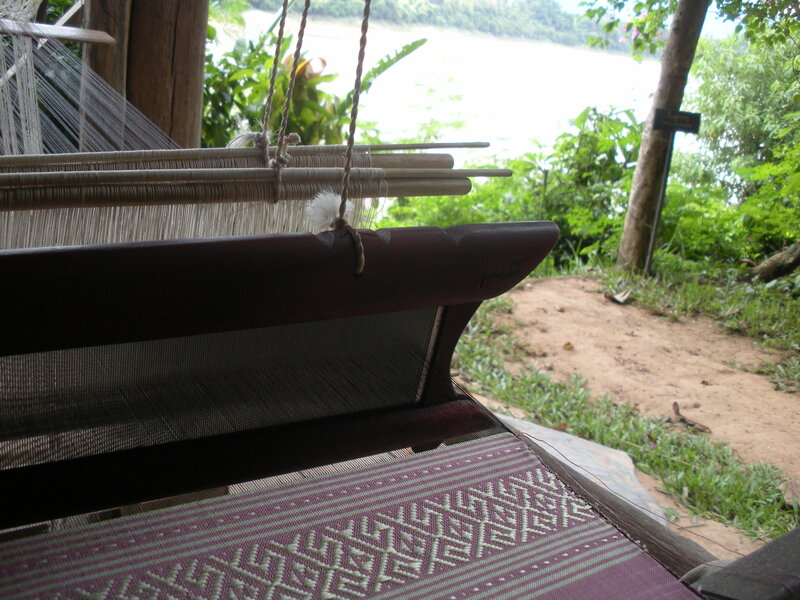 When researching things to do in Luang Prabang, Laos I stumbled upon weaving classes. I instantly became excited. What! A new way to use yarn? Yes please! 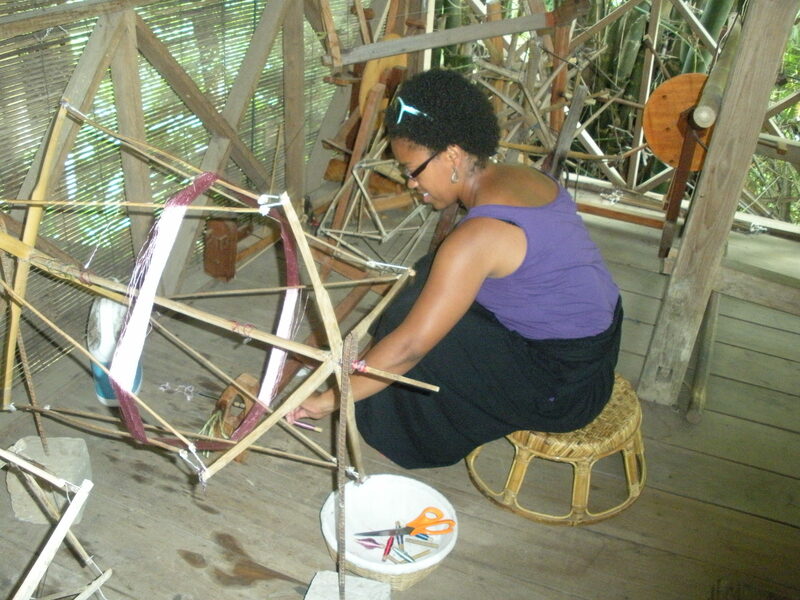 I signed myself up for a half day course in weaving at Ock Pop Tok. This organization is wonderful. 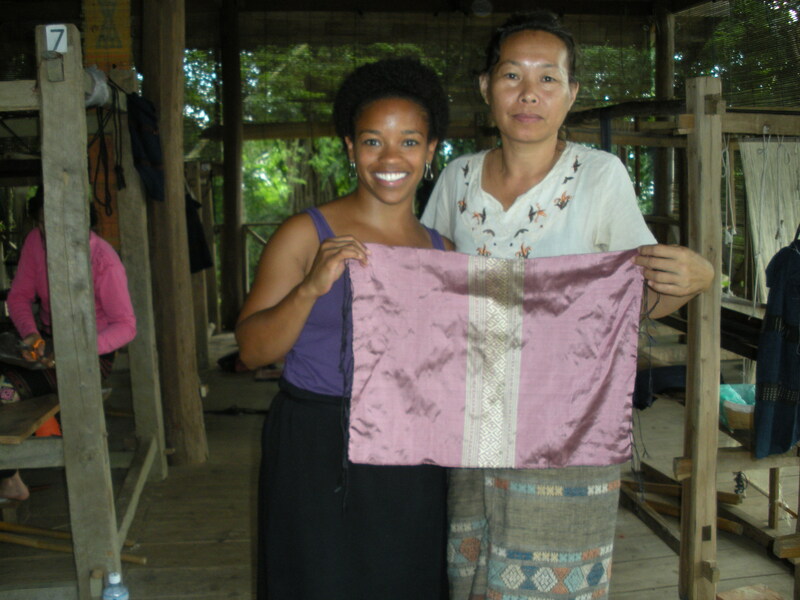 No only do they teach classes on weaving, silk dyeing,and basket weaving, but they support the artisans and village people of Laos. Learn more about the company at www.ockpoptock.com. I encouraged a traveling friend to come with me to the class. We arrived at the design center via tuk tuk for a three hour weaving class. The staff greeted us and invited us to sit in the cafe area. The cafe is beautiful. It is an open air space that over looks the beauties of the Mekong River. Included in the class is one to one instruction with a Master teacher and an English speaking guide to help navigate the language barrier. Our English Speaking guide brought out the mother load of silk skeins and told us to dive in. The silk was glorious! 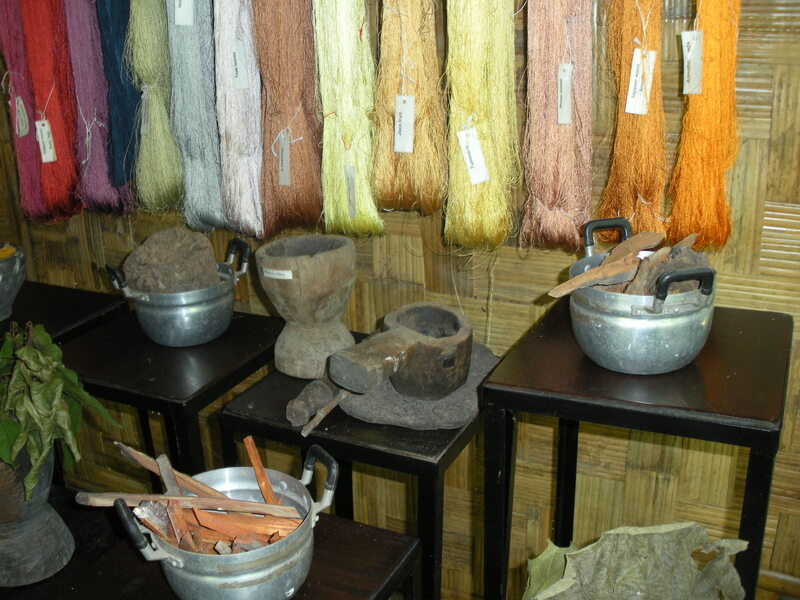 Not only was it made at the center, but it was also hand dyed with local and natural products such as lemongrass and tamarind. The teachers were waiting for us in the weaving area. 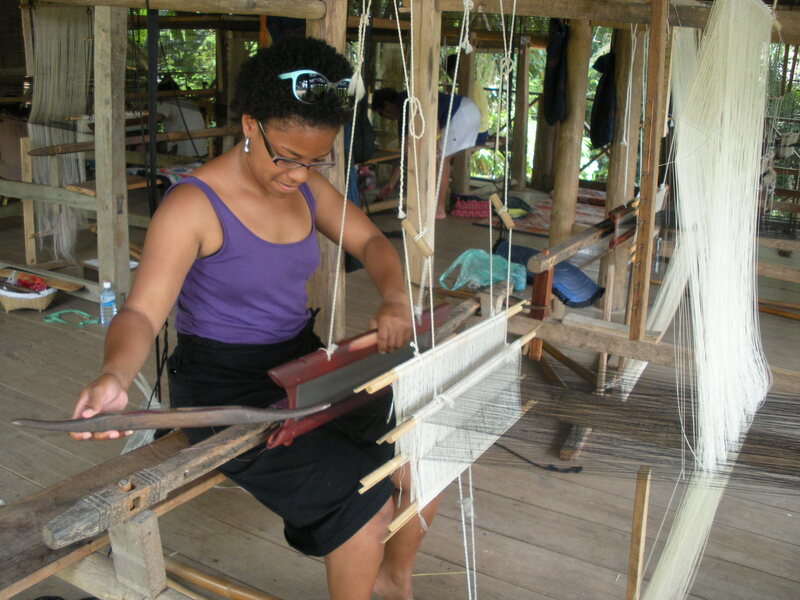 I was a little nervous as to how I was suppose to learn the art of weaving from someone who spoke very little English. However, those fears were eased. The teacher, Moung, was a great model. She showed me how to do things about two times before it was my turn. Check me out! I am winding my silk onto a smaller spool. Working at the loom takes lots of concentration! Here is my project on the loom. I think I lucked out with having the best view in the class. Kind of felt like I was at some jungle retreat or something (haha). Here is my finished product! Thanks Muong!